Prophesy fulfilled? - darkness overcomes you . . .
Back in 2011 we planted a Gymea Lily outside our bedroom window. The plant nursery told us that because it was only a young plant it might take up to 7 years to flower. 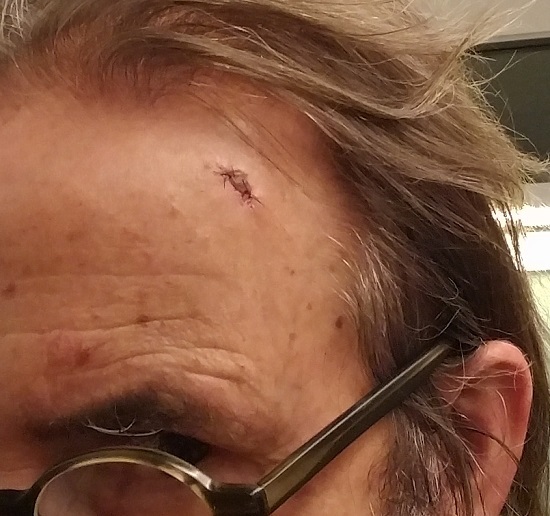 Bearing that prediction in mind, I recently went to a skin cancer specialist to see if one or more of my pigmented spots is melanoma. She was sufficiently suspicious of one spot that she took two biopsies. I find out the result next week. Also next week later I submit to a blood test to track the progress of the my known cancer. So there's plenty of possible bad news on the horizon. 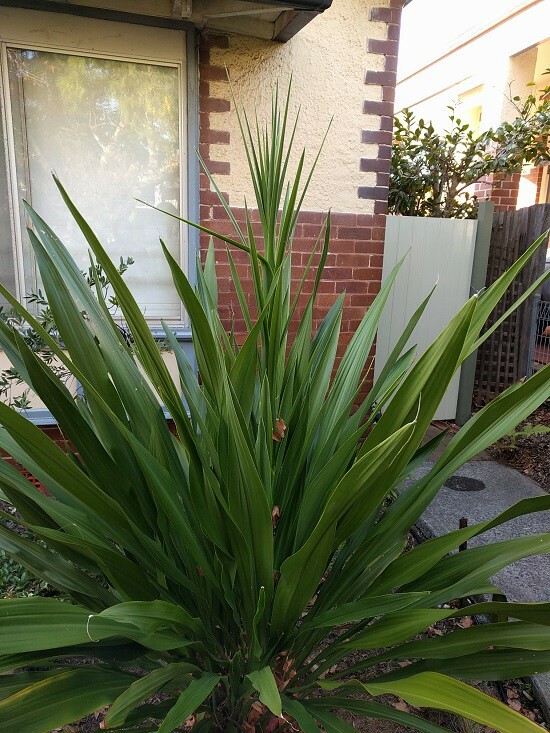 Meanwhile, the Gymea Lily has been growing well, but there has been no sign of any flowers, so it would appear that my 2011 prediction of death-before-flowering might come true. Last Friday, however, as I arrived home in the evening darkness, I noticed an unusual growth from our now seven year old Gymea Lily. The cold grey light of Saturday morning revealed what I hoped to see - A flower stem!! The plant nursey's prediction of a 7-year wait had come true. It does have a little way to go before it actually flowers. The shoot will grow to perhaps 3 or 4 metres before the flower blooms, and that process might takes several months. So although my death might be 'on the horizon', I need to hang in for a while yet. Next week we'll see what my cancer specialists say about my chances of achieving that goal.